Protecting your skin against’ the sun’s harmful UV rays is important, but those who regularly struggle with breakouts need products designed to block damaging radiation without clogging pores. 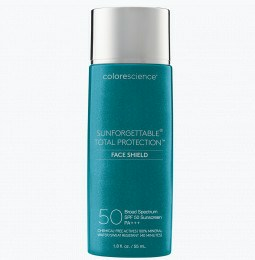 Colorescience offers sunscreen for acne prone skin crafted from safe, effective ingredients. Can sunscreen make acne worse? 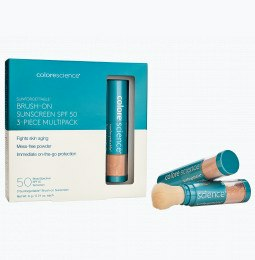 It can be difficult to find the right sunscreen for acne prone skin, especially if you struggle with an oily skin type. It’s important to protect your skin from the sun every time you leave the house, but many sunscreens cause greasy buildup, which leads to clogged pores and breakouts. Many waterproof and sweatproof sunscreens contain acrylate and silicone polymers that can create a sticky, gummy feeling on surface of your skin. The side effects of these ingredients can cause skin irritation and make an existing acne issue much worse. However, we offer mineral sunscreen without chemicals designed to be gentle on your skin while protecting you from sun damage. 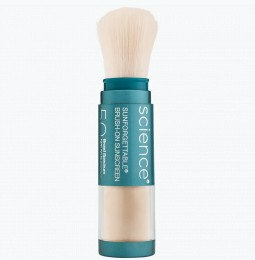 What is the difference between physical SPF and chemical SPF? Learning how to choose the best sunscreen for acne prone skin requires a bit of background information; namely, understanding the difference between physical and chemical sunscreen. Physical sunscreens are designed to reflect and block the sun’s rays. The two physical sunscreens include titanium dioxide and zinc oxide. Our natural powder sunscreens won’t clog your pores, and remain effective all day long – no matter how long you spend under the sun. Chemical sunscreens are designed to absorb the sun’s rays, but they can make breakouts much worse as they contain irritating ingredients. Which sunscreens should I avoid if I have acne-prone skin? Many sunscreen brands contain harmful ingredients that can make your breakouts worse. 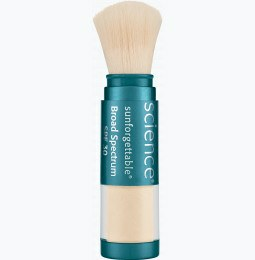 We’ve worked hard to create natural sunscreen options, free of damaging chemicals. 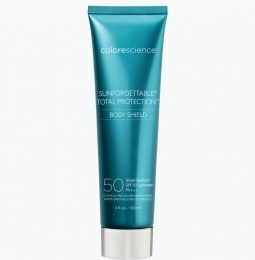 Colorescience offers fragrance free mineral sunscreen that won’t leave you feeling shiny, meaning you get the sun protection you need without aggravating your acne. Browse paba free mineral sunscreen and paraben free mineral sunscreen to find effective sunscreens without any of the fillers.